Babywearing is the answer! Wearing your baby in a baby carrier offers great benefits to you and your child. Babywearing can make parenting easier, as it offers baby a comfortable, secure space next to your body. It's natural for babies to want to be held. After all, they spent 9 months inside a very warm secure place feeling and hearing mom's heartbeat and body functions. Babywearing allows parents to bond with baby and learn more quickly what baby needs. In my experience, babies that are worn seem happier, cry less, and appear more secure. A great ergonomic carrier offers parents the ability to carry their child without back pain and discomfort. Babies can be worn in different ways in many different types of carriers. 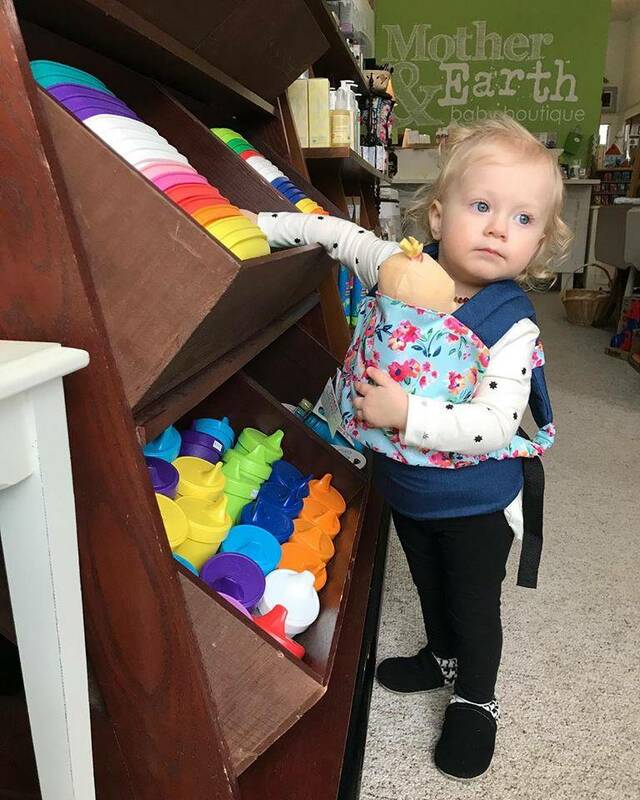 Let one of the experienced mamas at Mother & Earth Baby Boutique in Old Town Lansing help you find the best carrier for you and your baby.